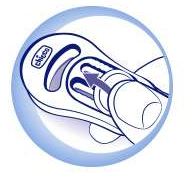 Chicco's Soother Clip, is a product made in Italy, studied with attention to detail. 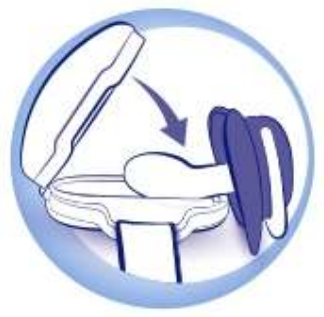 You can easily attach this to the baby's clothes with one hand. Its special shape with rounded edges is designed to ensure maximum comfort when worn, and ensure the right seal without ruining your clothes. 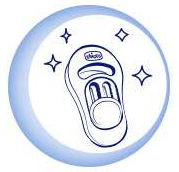 In the moments when the child does not use the soother, the cover allows you to keep it clean. 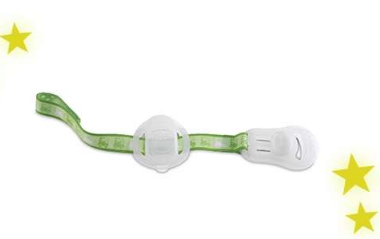 It attaches to the soother via the convenient Velcro closure. 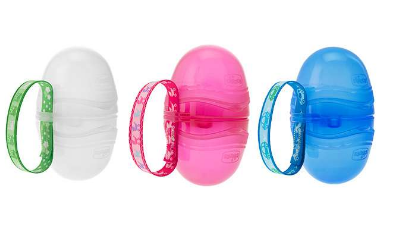 The full range of Soother Holders will help to your little ones soother clean!